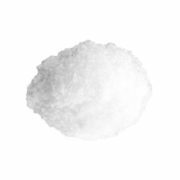 Potassium Sorbate, ensures against renewed fermentation in wine when residual sugar is added post the initial ferment. Add at the rate of .5 to .75 grams per gallon (125-200ppm) in conjunction with .3 grams of meta-bisulphite (50ppm) per gallon. 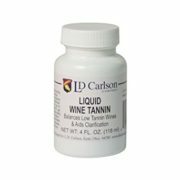 Use the higher end of the range (200 ppm) as the wine’s pH approaches or exceeds 3.5 or when the alcohol conent of the wine is below 10%. Note: Will not stop an active fermentation. 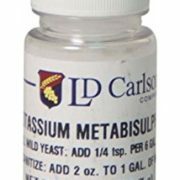 Potassium sorbate should not be used if the wine underwent an ML fermentation because sorbic acid (in the potassium sorbate) will react with lactic bacteria to produce a “geranium” smelling off-flavor.